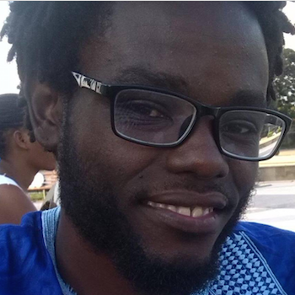 Today marks the one year anniversary of the arrest of 17 human rights defenders in Luanda after they participated in a meeting called “Philosophy of Peaceful Revolution." Today, all 17 are still detained. The meeting was facilitated by human rights defender Mr Domingos da Cruz, and the so-called “15+2” HRDs were arrested between 20 and 21 June 2015. The 17 human rights defenders are: Domingos da Cruz, Sedrick de Carvalho, Luaty Beirão, José Gomes Hata, Nito Alves, Afonso Matias “Mbanza Hamza”, Hitler Samussuko, Inocêncio de Brito, Albano Evaristo Bingo, Fernando António Tomás “Nicola”, Nelson Dibango, Arante Kivuvu, Nuno Álvaro Dala, Jeremias Benedito, Osvaldo Caholo, Rosa Conde and Laurinda Gouveia. Fifteen of the HRDs were detained in pre-trial detention for over 90 days, while two, Rosa Conde and Laurinda Gouveia, were allowed to remain at liberty while awaiting the courts’ decision on their charges. In September 2015, they were charged with preparatory acts of rebellion, criminal association and organising a coup d’état against President José Eduardo dos Santos. The charge of organising a coup was eventually dropped due to lack of evidence. On 28 March 2016, all seventeen human rights defenders were sentenced to prison terms ranging from two years and three months to eight and a half years on charges of preparatory acts of rebellion and criminal association. Domingos da Cruz was sentenced to eight-and-a-half years' imprisonment for the crimes of preparatory acts of rebellion and leading a criminal association in addition to the other charges. Nuno Álvaro Dala, Sedrick de Carvalho, Nito Alves, Inocêncio de Brito, Laurinda Gouveia, Fernando António Tomás “Nicola”, Mbanza Hamza, Osvaldo Caholo, Arante Kivuvu, Albano Evaristo Bingo, Nelson Dibango, Hitler Samussuko and José Gomes Hata were all sentenced to four years and six months in prison. Rosa Conde and Jeremias Benedito were sentenced to two years and three months in prison. 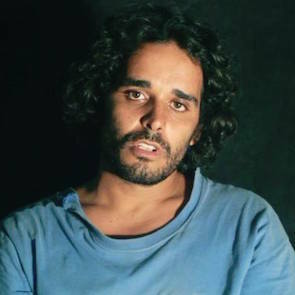 Luaty Beirão was sentenced to five years and six months in prison on a charge of “falsifying documents”, in addition to the above-mentioned charges. The case of the 15+2 is not an isolated case. 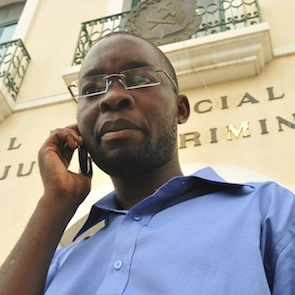 Human rights defenders are often targeted in Angola for their legitimate work, such as in the case of Mr Arão Bula Tempo who has been conditionally released and awaiting trial since October 2015. 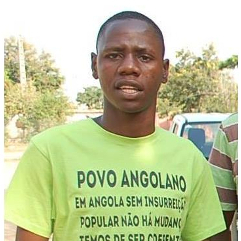 On the one year anniversary of the arrest of the Angola seventeen human rights defenders Front Line Defenders calls on the Angolan authorities to quash the sentence and release the 15+2, and to immediately and unconditionally drop all charges against Arão Bula Tempo. Front Line Defenders believes that the charges against them are motivated by their legitimate and peaceful work in the defence of human rights.